PHOENIX – The FBI hires special agents from a wide range of backgrounds: microbiologists, law enforcement officials, military veterans, computer scientists, teachers and wedding planners. “We are looking for everyone who wants to join our organization,” said special agent Erin Gibbs, applicant coordinator of the FBI’s Phoenix field office. As part of a nationwide FBI recruitment blitz, the Phoenix office recently took a different recruiting approach, inviting members of the news media to participate in its physical fitness test. To give local reporters an idea of the demands of the job and to get the word out about FBI careers, agents recently put reporters through a fitness test at Grand Canyon University. Reporters were scored based on how many push-ups they could do, their time in a 300-meter sprint, the number of sit-ups they could complete in a minute and their time in a 1.5-mile run. Candidates – or members of the media, in this instance – can rest no more than 5 minutes between each event. At its Quantico, Virginia, headquarters, the FBI also has designed a physical fitness test application for those curious to see whether they measure up to the bureau’s standards. Jill McCabe, the public affairs specialist with the FBI Phoenix field office, said the agency is seeking about 900 agents to serve the bureau’s 56 field offices, with a focus on diversity of backgrounds. About 35,000 people work for the FBI, according to its website. Potential agents must complete a rigorous application process. Applicants must also have a bachelor’s degree and a 3.0 grade point average to be considered. Special agents are required to remain fit throughout the year, mentally and physically, and are tested 10 to 15 times a year, Gibbs said. Gibbs said the depiction of agents as mysterious figures wearing black suits who operate in the shadows is strictly a product of television and movies. 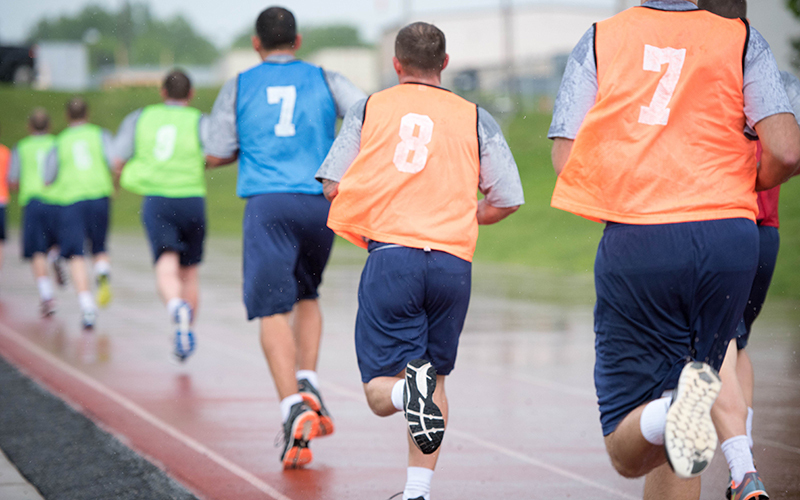 That inaccurate perception is one reason the FBI invited reporters to take the fitness test.